It all begins with one young girl, placing a single coin in a hat. From there, it spreads to a beautiful orchestra and choir. 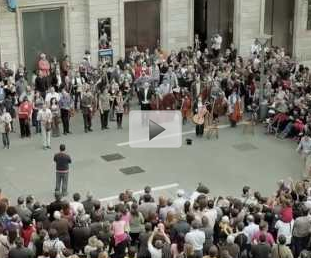 This performance brought hundreds of individuals of all ages together. It touched many individuals and brought a smile to their face. Hopefully, it will bring a smile to yours as well.